Summary: Sixteen-year-old Ren is a daredevil mobile racer who will risk everything to survive in the Ward, what remains of a water-logged Manhattan. To save her sister, who is suffering from a deadly illness thought to be caused by years of pollution, Ren accepts a secret mission from the government: to search for a freshwater source in the Ward, with the hope of it leading to a cure. Review: This will be short, because I mostly just want to give my general impressions. First of all, I LOVED the concept for this book. With the reality that the oceans will rise and also the ever present reality of how much water means to us, and how much we take it for granted. I imagine that in the future we will need to grapple with some of the issues present in this book, and it scares me, to be honest. Combine the need to fight off a disease that causes horrible deformations and inevitable death, and you have a book I'm interested in! As a protagonist, I loved Ren. She's confident and willing to do just about whatever it takes to, no matter what situation she finds herself in, but she still has those she fiercely cares about and will try to protect them no matter what it takes. She's not loyal to anyone except herself and the ones she cares about. The combination of fantasy with dystopia is a bit rough, and I think that the author could have taken a bit more time smoothing out the rough edges. 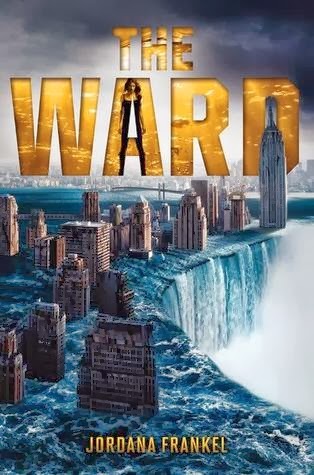 It's a bit jarring to be reading about both an apocalyptic future that has a dystopian feel along with elements of fantasy - I think it could have been blended better, though that may be improved in future books. I think that generally first books should lay out the foundations as best they can, however. The romance was probably the weakest point - Ren's attraction to her romantic interest seems to be mostly based on physical attraction, and with his complicated history and actions, I'm not sure how I feel about it. I guess I'll leave that up to future books as well.